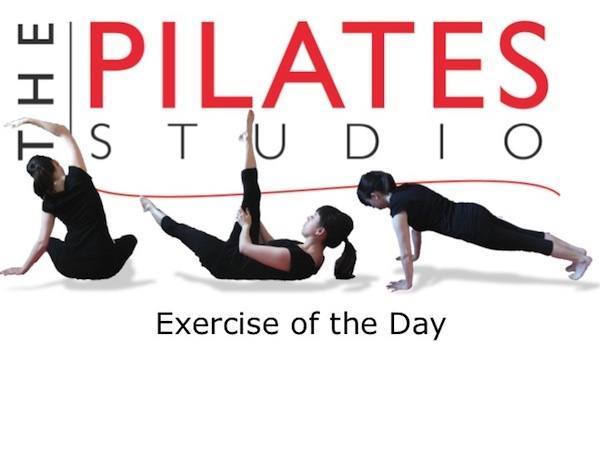 This exercise is intended to challenge the stability of the pelvis while flexing the hips and moving the legs in the sagittal plane. To this exercise you will need a mat. Start by lying on your back with your legs in a tabletop position. Inhale to prepare and then exhale as you arc your thighbone towards the floor so that you can tap your toe and then return it to the tabletop position. Inhale in tabletop position and then exhale as you lower the opposite leg to the ground. Repeat this exercise alternating sides 8-10 times. It is important to be sure to use the breath to engage the core during this exercise. Make sure each exhale is executed completely. This will allow the spine to maintain its length as the thigh is moving in the socket. Remember the thigh is moving independently from the pelvis. 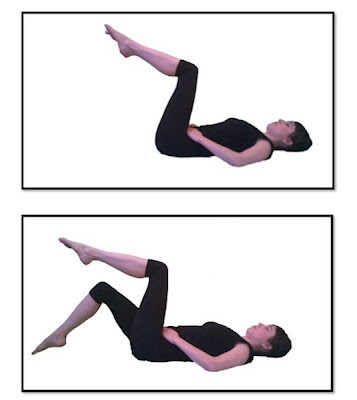 It is important to use the abdominals to ground the pelvis as the thigh is arcing away. If the pelvis is allowed to follow the thigh then some strain in the lower spine can occur.